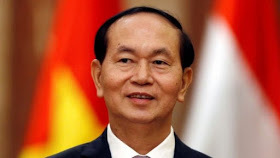 Vietnamese President Tran Dai Quang died in a military hospital at the age of 61, state media reported. Reports say that he had been suffering from a serious illness for several months and that he had received medical treatment abroad and in Vietnam. He was sworn in in the communist country in 2016, after a period as minister of public security.